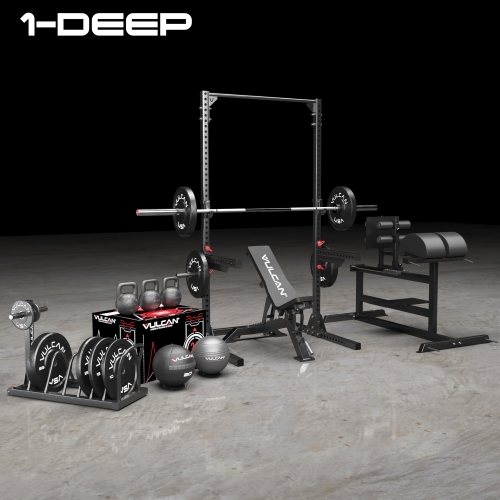 The Vulcan One Deep CrossFit® Equipment package offers a wide array of exercise equipment. The One Deep CrossFit ® Equipment package can be utilized for Garage/Home gym, or used professionally for small CrossFit ® gym, and/or personal training for one to two clients in a small space. Note: Hammer II Squat Stand and GHD are currently out of stock. This package will not ship before 7/15. Pre-Order now. The production times for our GHD and the Hammer II Squat stands can be lengthy. We often sell out as soon as the production is completed.